Richard Irwin (Belper, United Kingdom) on 24 October 2008 in Plant & Nature. Une très belle capture avec de jolies couleurs un vrai tableau. Awesome colours, details and textures, I love it! This is my favorite of the series! Excellent textures! And frosty ! Great image ! Super shot! Really fine work with great depth in the colors. Georgous textures and colours, I love the way the frost has framed the leaf. Great name, Richard, and beautiful too! 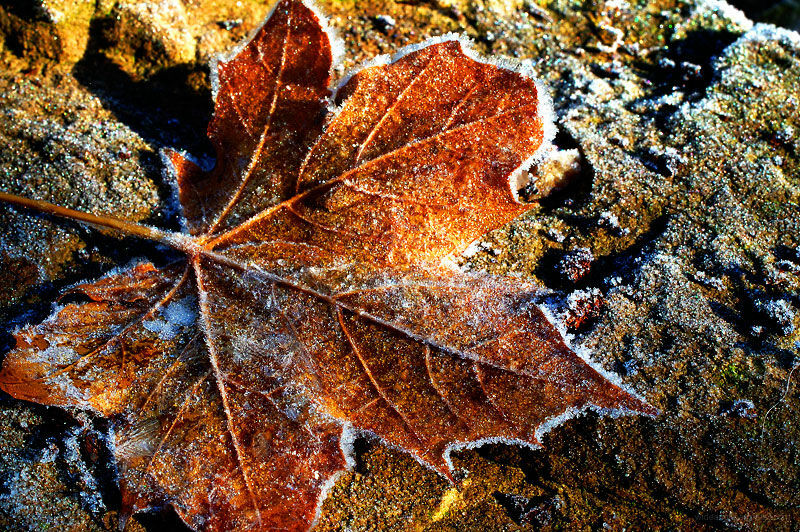 nice photo....i never see photos of frost on leaves...and definitely never see it in person since i live in Los Angeles. beautiful texture. Beautiful vivid colors !!! Love the frost and texture of the leaf. is it really that cold by you in the morning ? well over here too ... but only in the mornings sofar ! Perfect title for this outstanding image, Richard! wow -- this is fall with a winter twist! just superb! and an excellent concept for a series!! bravo! !